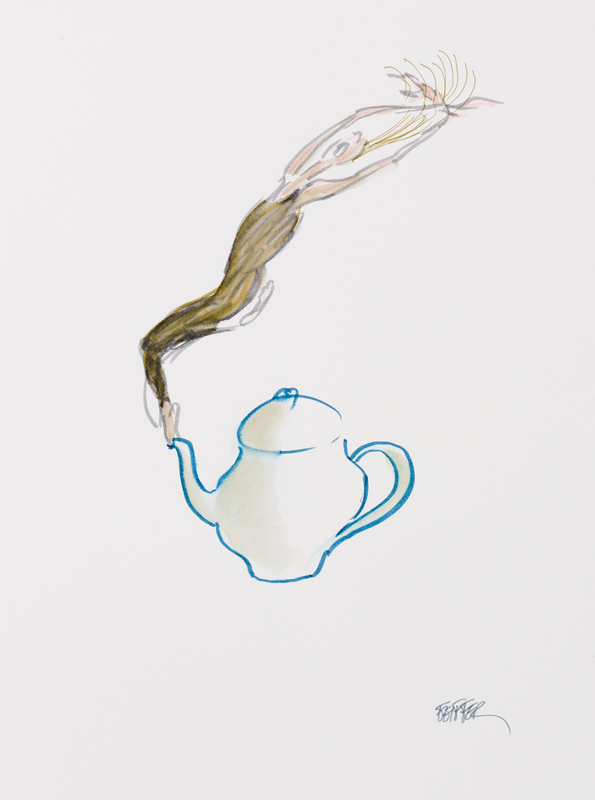 This drawing was commissioned by the Kamm Teapot Foundation from cartoonist and writer Jules Feiffer. Feiffer has drawn and written for numerous projects, including his long-running syndicated comic strip Feiffer and the illustrations for The Phantom Tollbooth by Norton Juster. He has won many awards for his work, including a Pulitzer Prize for his political cartoons in The Village Voice, and a Lifetime Achievement Award from the Writers Guild of America. He has written numerous plays, screenplays, and books for both adults and children. Detail (click for larger image). Like many of Feiffer’s drawings, this watercolor uses figurative imagery in exaggerated, elongated poses and expressive distortion used to show movement. In this image, the figure’s elongated body and flowing hair are suggestive of both a ballet dancer in motion and steam coming out of a full teapot. 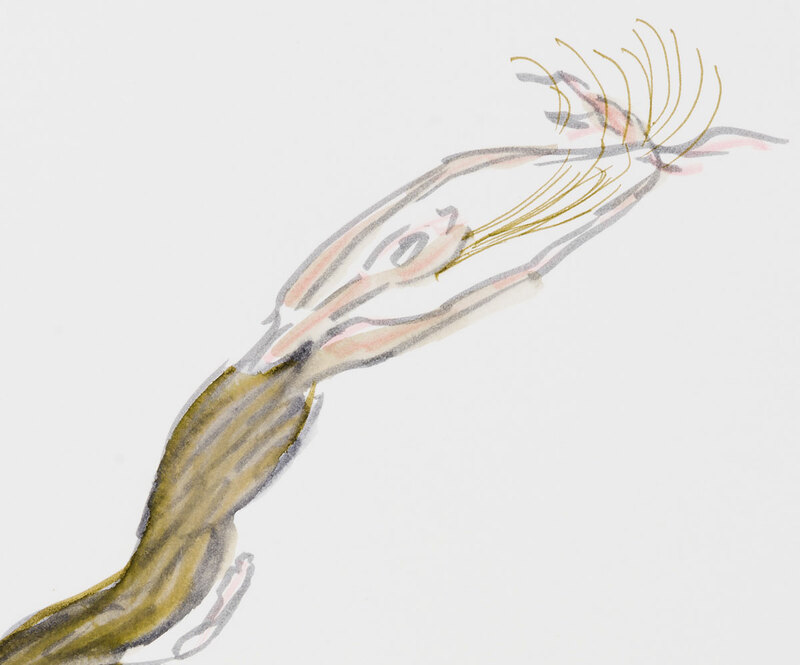 Feiffer currently lives in New York, and teaches creative writing and at Stony Brook Southampton. Jules Feiffer’s artist’s page at the Jean Albano Gallery. Jules Feiffer on the Internet Movie Database. Sage Stossel. “A Conversation with Jules Feiffer.” The Atlantic, March 19, 2010. Sam Adams “Jules Feiffer.” A.V. Club, July 28 2008.